Steve Conway named to ABC Keystone Board of Directors - Benchmark Construction Company, Inc. 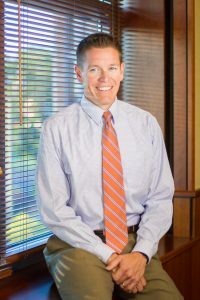 Benchmark Construction is pleased to announce that Steve Conway, Vice President of Senior Living & Higher Education, has been named to the ABC Keystone Chapter’s Board of Directors. Steve was sworn in on January 6, 2017 and joins five new additions to the leadership team. Steve also volunteers his time on the Workforce Development Committee which works on methods of introducing the construction trades to high school level students to develop an early interest in the industry. Benchmark is proud to support ABC Keystone on its mission for free enterprise.